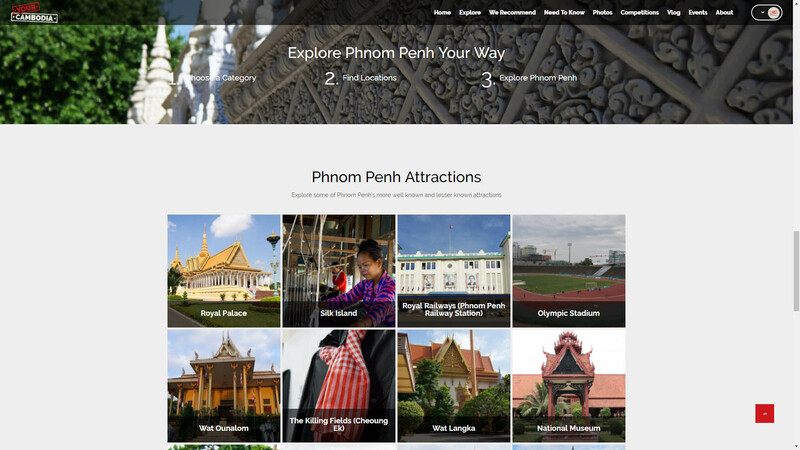 The YourCambodia.com WordPress travel website development is focused on video and based on a directory/listings section showing map listings for attractions, shops, restaurants and other points of interest in Phnom Penh, Siem Reap, and the major towns and cities in Cambodia. 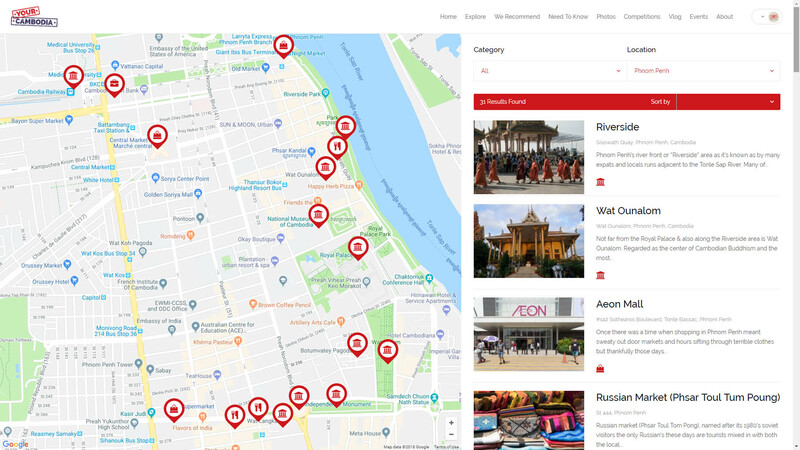 Alongside the directory functionality, the website offers static information pages, a custom developed competitions section where registered users can upload photos to contests, a video blog, and photo galleries. 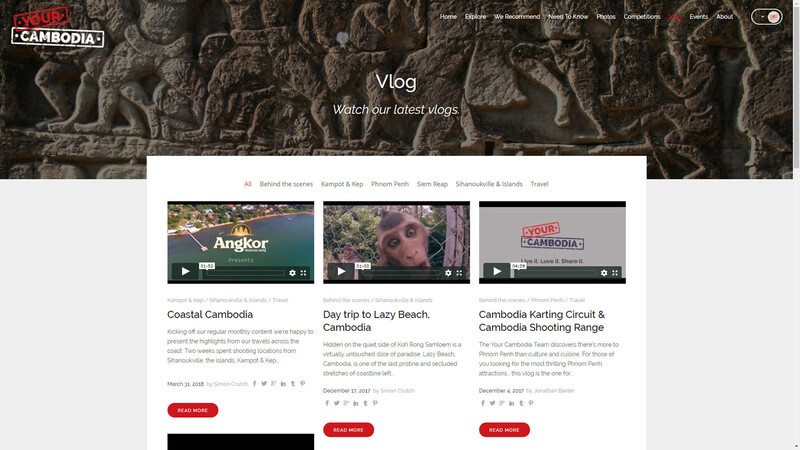 The YourCambodia team travel around Cambodia producing videos that they share and promote on social media to drive traffic to the website. 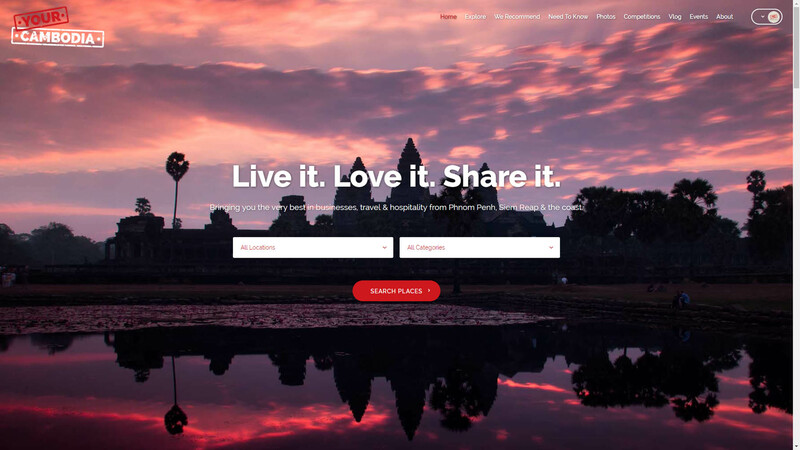 To ensure fast loading speeds and gain additional analytics, the videos are hosted on a Vimeo Pro account and embedded in the site for the listing pages, general information pages, and vlogs. 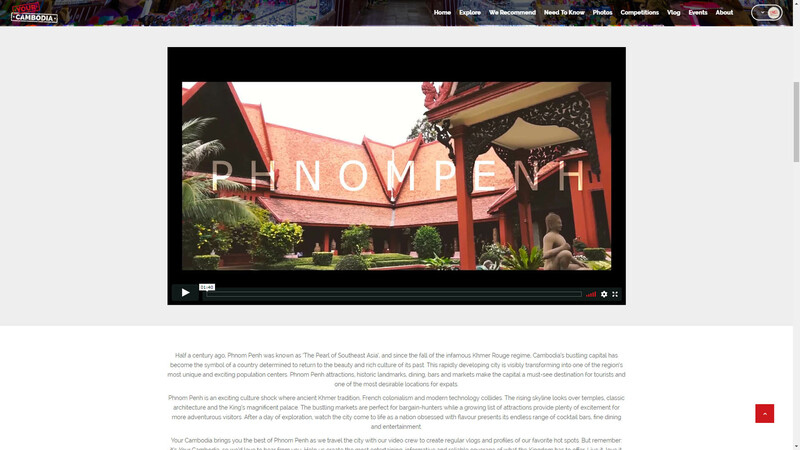 The website content is managed directly by the YourCambodia team while I keep an eye on maintenance and security. 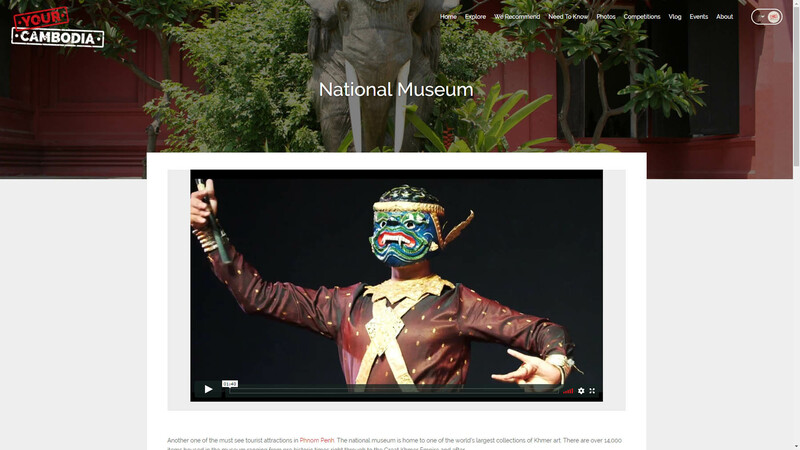 Hosting for the website is provided by HostAsean.com. 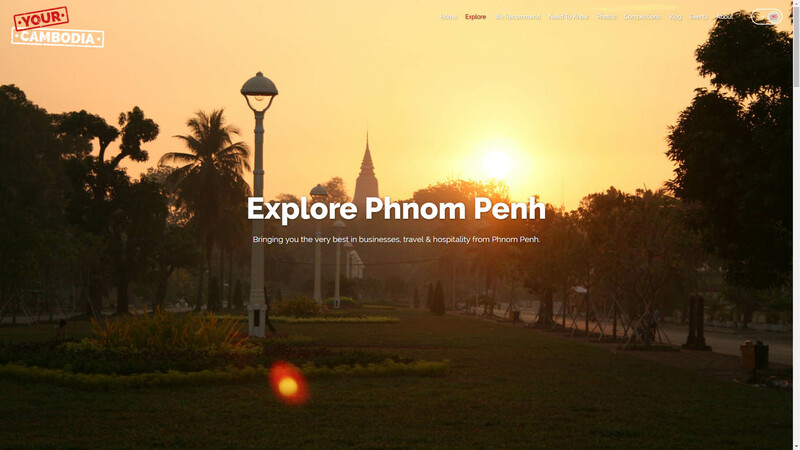 The website design also uses a lot of my Cambodia travel photography. I also created the brand & logo design as part of the project.